Item # 315895 Stash Points: 5,195 (?) This is the number of points you get in The Zumiez Stash for purchasing this item. Stash points are redeemable for exclusive rewards only available to Zumiez Stash members. To redeem your points check out the rewards catalog on thestash.zumiez.com. 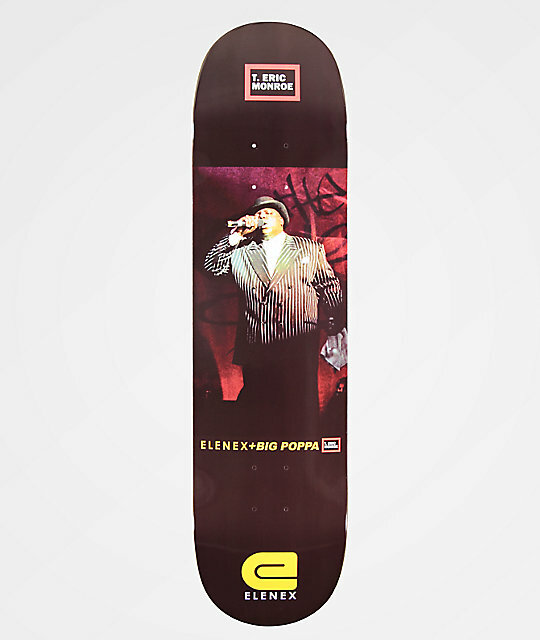 Become a legend at your local park on the Elenex x Big Poppa Capsule 8.0" Skateboard Deck. A large graphic of Biggie in a suit adorns the bottom, while wide and steep kick tails maximize ollie height and provide tons of pop. Moderate concave throughout helps aid with flip tricks and complete with a 90-day guarantee through the manufacturer, you can skate hard with confidence. 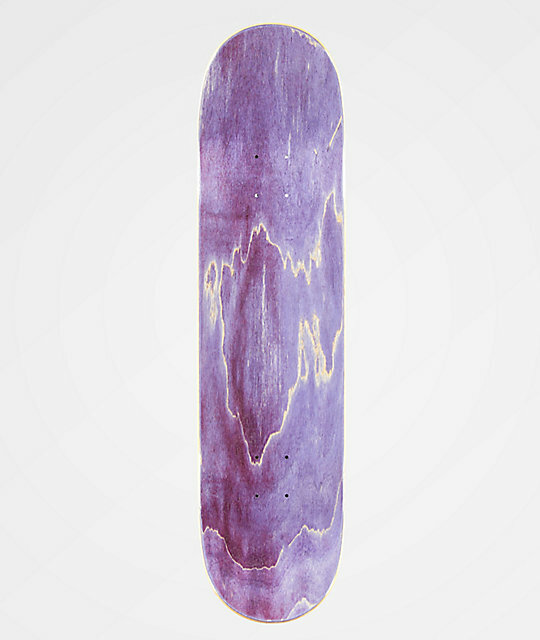 Capsule 8.0" Skateboard Deck from Elenex x Big Poppa. Signature Elenex and Big Poppa collaboration. Classic popsicle shape with steep, wide kick tails.